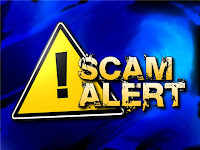 Bloggers Beware: Guest Post Scams! In a nutshell it’s about people abusing your blog for their financial gain. They offer to write a ‘guest post’ for you and then watch as their pockets get lined. The consequences go farther than merely clogging up your blog with bland writing. The lackadaisical nature of the articles can diminish the credibility of your blog. Worse still, scam guest posts can hurt your standing with Google, significantly reducing the flow of traffic to your blog!